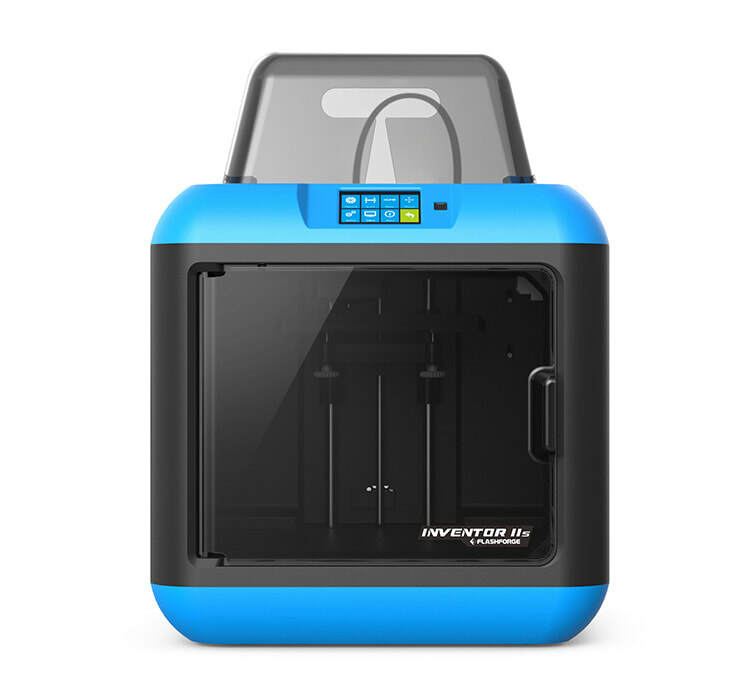 ​​Smart, Reliable And Safe Desktop 3D Printer Intuitive printer controls for hassle free 3D printing. The Inventor IIS features a 3.5-inch HD touchscreen and FlashForge’s famously user friendly printer controls. 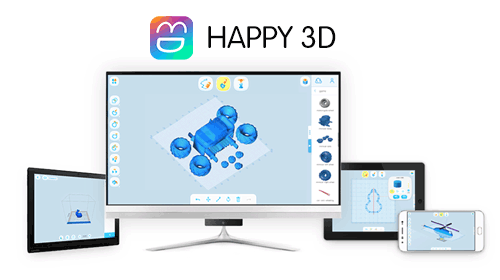 With an intuitive interface and convenient WiFi connection, you can start printing your 3D models in no time. 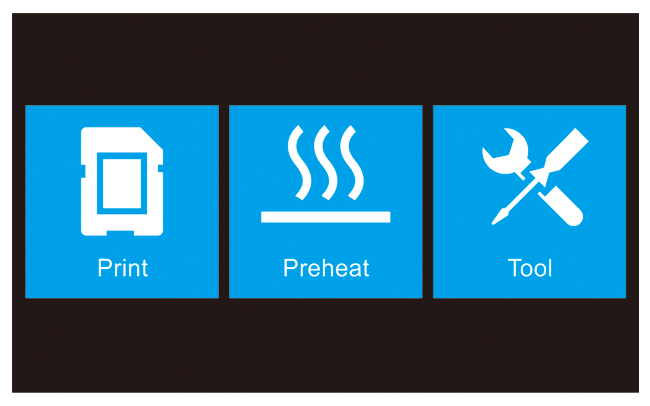 The ability to preview 3D models on screen ensures you’ll always know what you’re going to get, while real time printing status lets you know exactly what is going on. Supports Chinese, English, German, French, Dutch, Polish, Korean, Portuguese and Japanese languages. 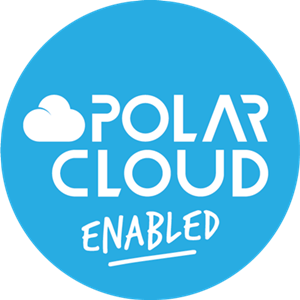 ​Manage your 3D printing from anywhere using Polar Cloud. The Inventor IIS comes Polar Cloud Enabled straight out of the box, meaning you can control your 3D printer from anywhere with an internet connection, connect and manage multiple printers at once, queue print jobs, slice models, access unique educational curriculum and check how your print is going with the built-in web cam! ​There are many benefits to using PLA filament. 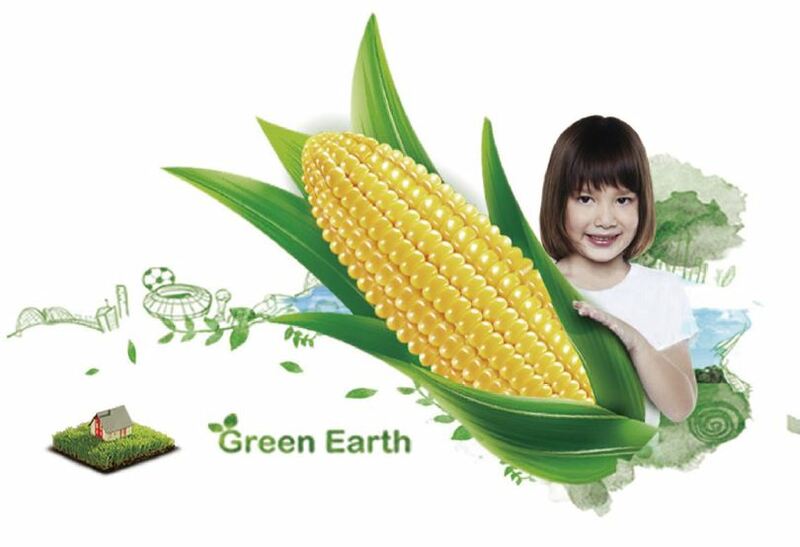 It is biodegradable and is safe to use without additional ventilation, making it a popular choice for schools and home environments. 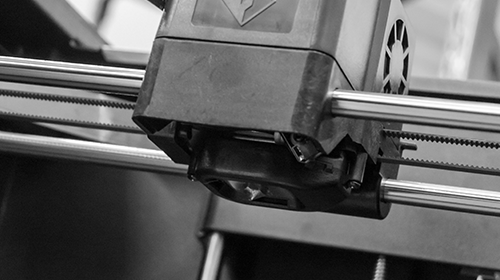 The Inventor IIS’ unique cyclic air supply ensures the PLA cools extremely quickly to achieve the smoothest possible print finish. ​Inventor IIS features a fully enclosed design for maximum safety. It’s so safe in fact, if you forget to close the door, the Inventor IIS will remind you! 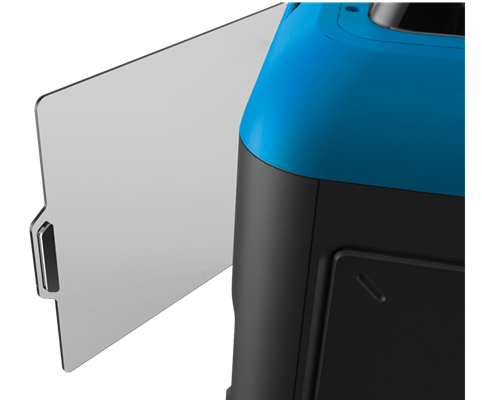 The large, transparent top cover and easy access front door make it easy to see the printer in action and check in on your print progress at anytime. ​On-line camera helps you monitor your print jobs when you’re away via on-line camera wherever and whenever you are. 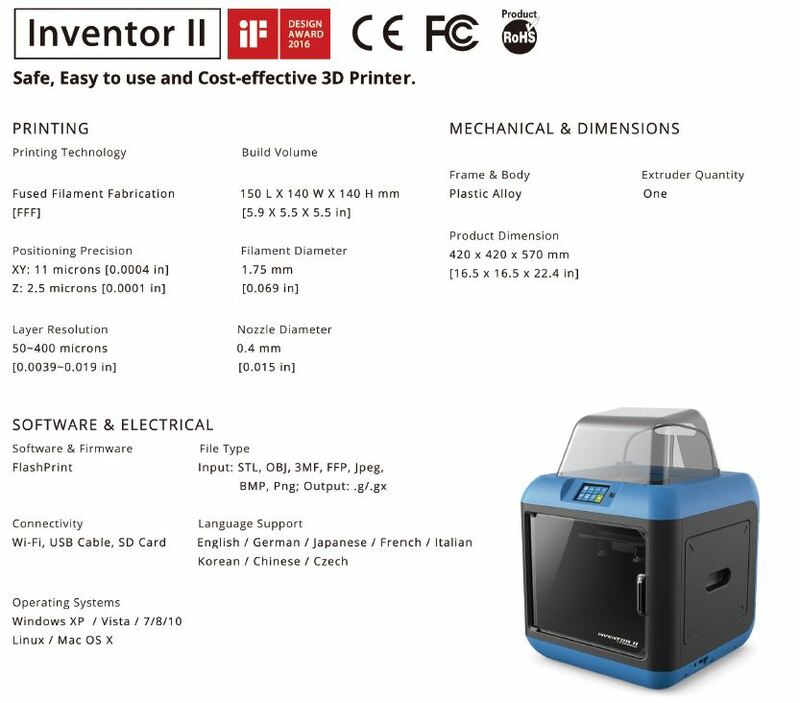 ​The Inventor IIS makes 3D printing extremely easy, and now 3D modelling can be easy too! 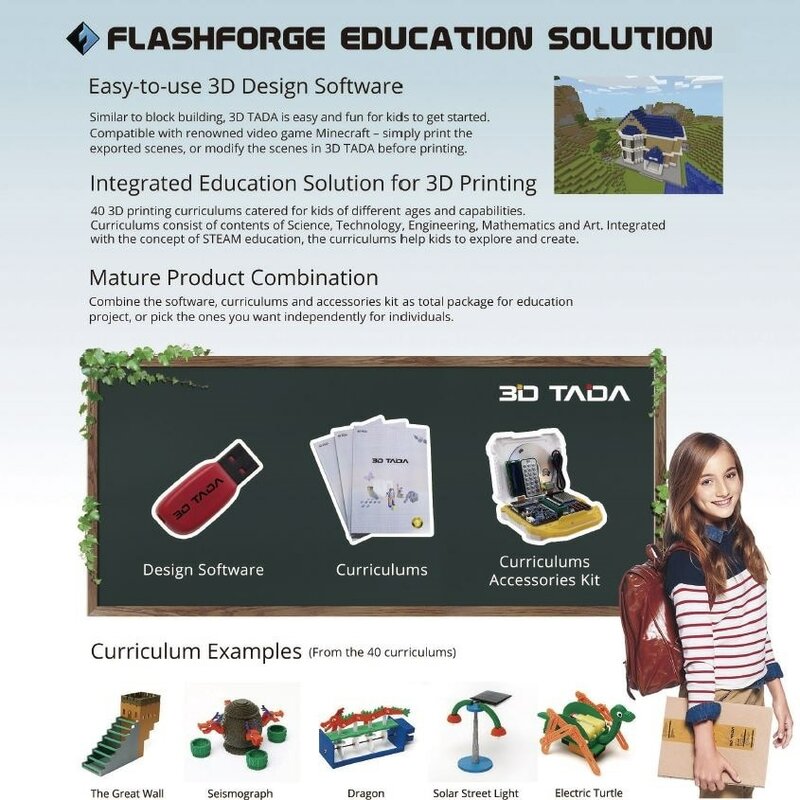 FlashForge’s easy to use “Happy 3D” app allows beginner users to start converting their 2D drawings into 3D models, or choose from one of over 100 free 3D models to get you started. 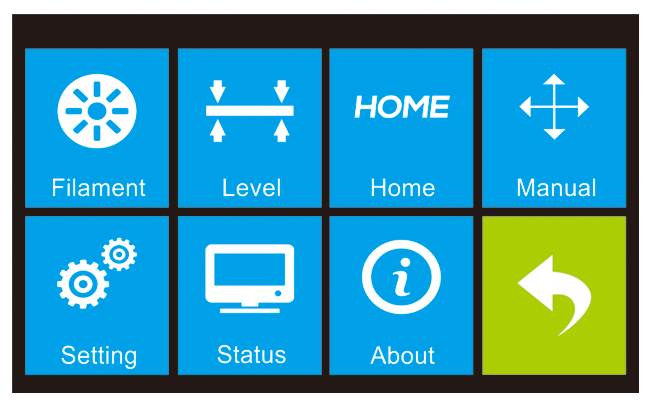 Then once you’re done, print your 3D creation directly from Happy 3D to your Inventor IIS. Easy. 2nd generation wireless connection. More stable. Inventor II features the 2nd generation Wi-Fi connection with more stable wireless file transmission. And now you can send 3D files from your computer to Inventor II memory with your own Wi-Fi network under AP or STA modes. USB stick is another stable way to transfer files. No USB cable, no interuption even when your computer goes into standby. Just like your smart phone. Inventor II has an integrated 3.5-inch HD IPS touchscreen display for full-color, on-board intuitive navigation. Only 4 taps to start your print, no need to hook it up to your computer! 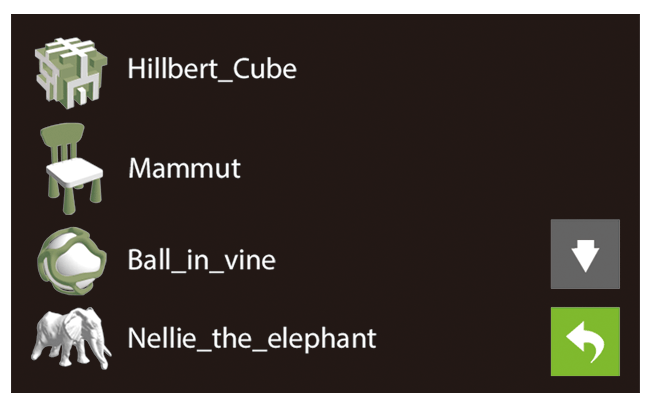 See previews of model files and you know that is what you want to print. Real-time view printing status and you know when it will be finished. Built-in multiple languages compatibility including English, German, Freench, Dutch, Polski, Korean and Japanese is added for its ease of use. Slide-in build plate allows you to draw it out of the printer and then remove the finished 3D prints more easily. At the same time, it can minimize damages or offsets to the build plate. Inventor II is designed for kids and novices. We hope you can have a blast with this safe 3D printer making practical things to wild imaginative creations. We conceal all the cables within the plastic alloy body. The frame is sleek, without any sharp edges. The hot nozzle is protected from touch, and the build plate is a piece of glass with no heat on it. 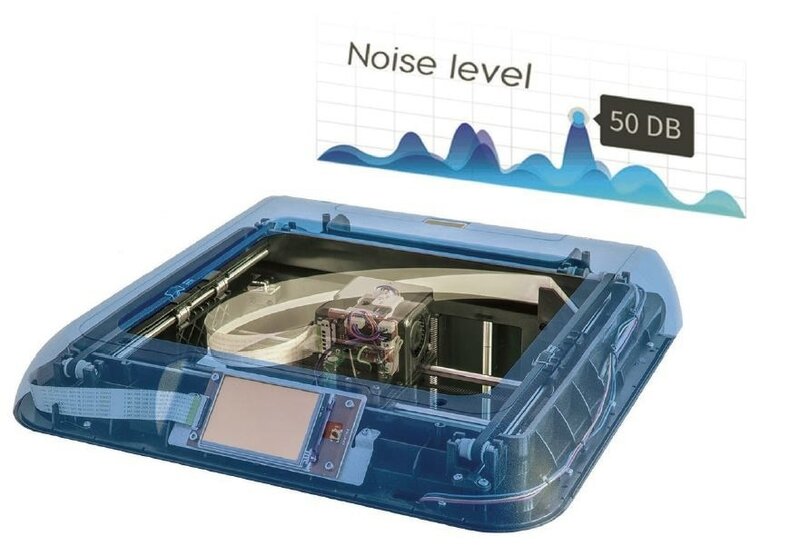 We keep the noise level as low as 50 dB. All of these thoughtful details make Inventor II a safe 3D printer to play with. PLA filament for Inventor II are non-toxic, biodegradable plastics that are recyclable and safe for the environment! OPEN MATERIAL system. This means you are free to use any suitable filament and not restricted by expensive proprietary cartridges or NFR chipped spools of filament. Support generation doesn't get any easier than this. FlashPrint automatically generates supports based on the model's overhang angles. At the same time, you can add more necessary supports to output better prints, or remove unnessary ones to save materials. 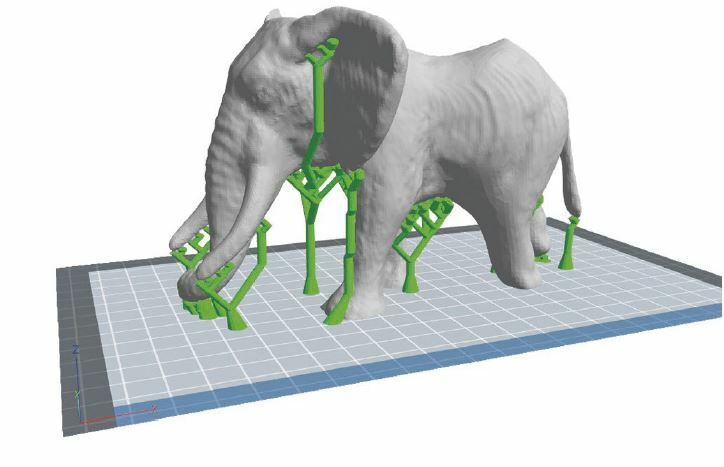 Dendriform (treelike) supports allow you to print much more complex models, snapping off supports easily without damaging your objects. Cut and split. 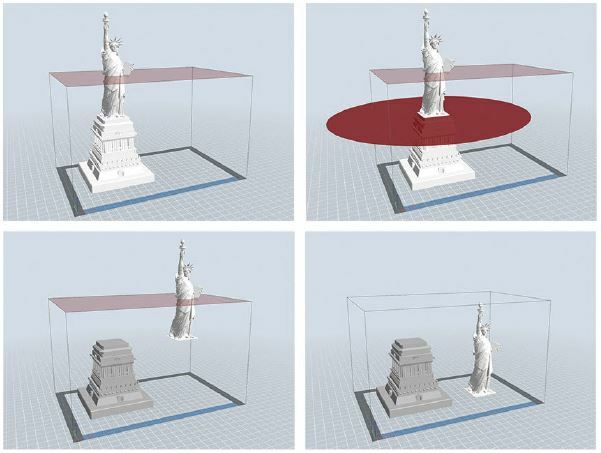 Print bigger models. 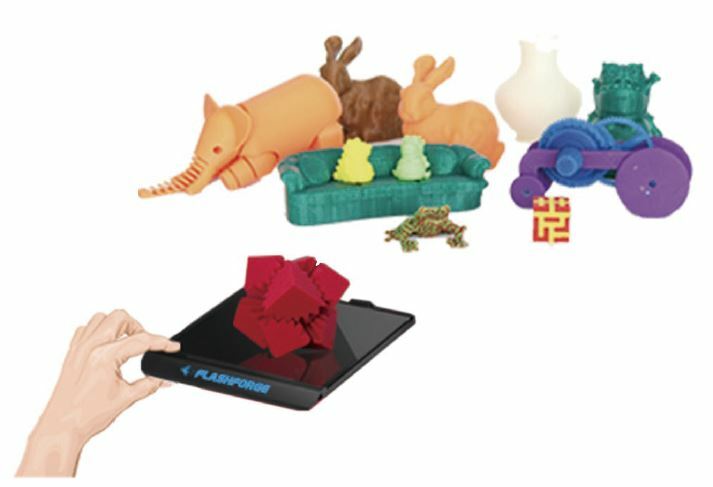 Featured with cut and split function, FlashPrint allows you to divide your model into several seperate parts when it is too big as for on print. Limited build volume can print bigger models. ​Make 3D models from images. 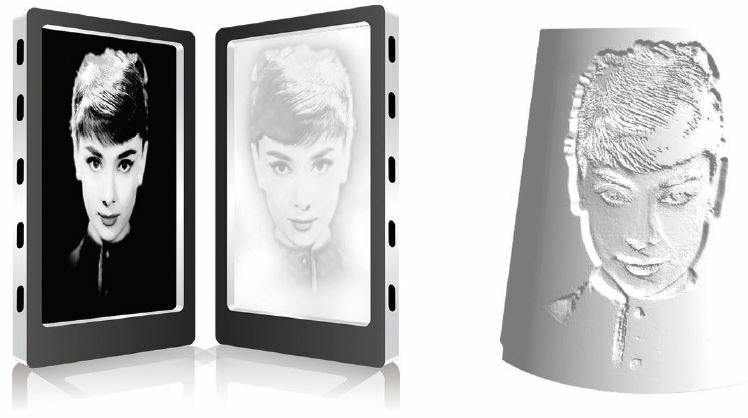 The 2D into 3D featured in FlashPrint allows you to convert 2D image files into 3D models. This is one of the easiest ways to start 3D designing. All you need to do is to drag the image and select parameters you want.